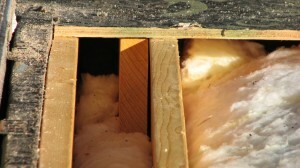 Insulating a cathedral ceiling with fiberglass batts and ventilating the same framing spaces does not work very well where framing spaces are interrupted by framing offsets, skylights, chimneys, or other penetrations, or where the roof framing changes direction or is terminated by a hip or valley or other plane change or layout condition. 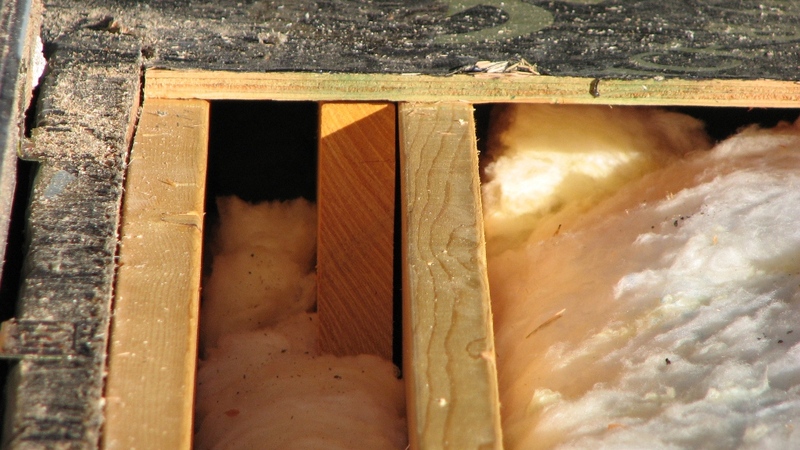 Ceiling penetrations, insulation gaps, and blocked ventilation allow interior heat to warm the underside of roof sheathing and contribute to melting of snow and eave ice build-up during freezing weather. This should not come as news for folks who design and build for a cold climate, but this same approach continues to be used with an explanation that it was the only affordable option, even in the face of roof leaks and costly reconstruction. 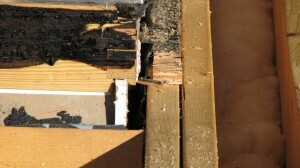 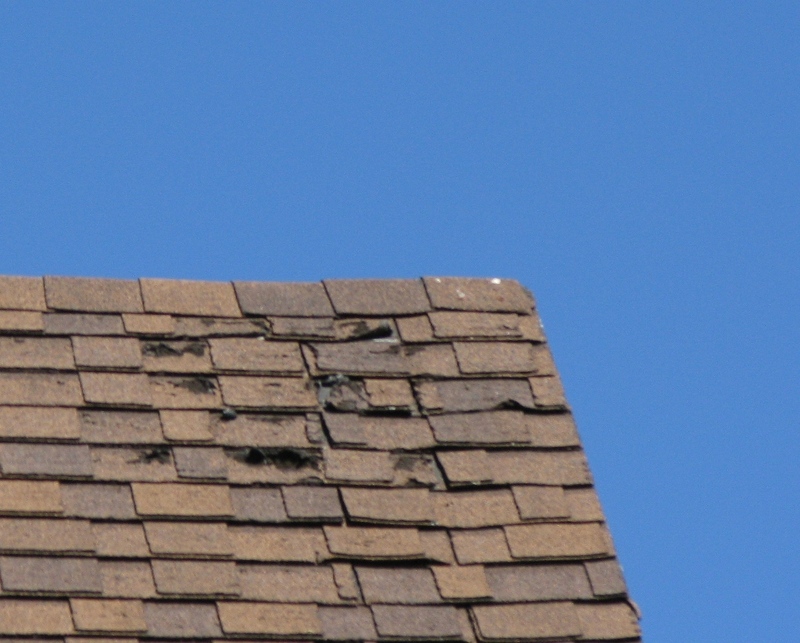 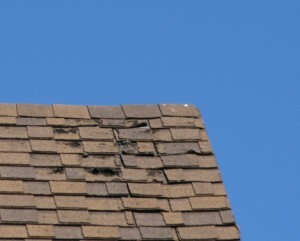 Photos of roof deconstruction illustrate a few of these problems. 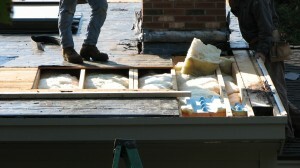 The top photo shows a poor installation of an eave venting baffle, but even a continuous baffle would have been of little value, since the framing bay is blocked by the chimney. Other photos show framing bays blocked by headers at skylights and tight framing spaces beside the skylights and at a framing lap. 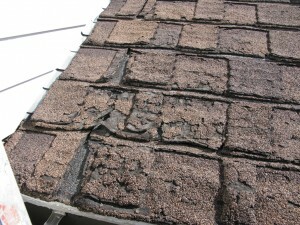 The combination of insulation and ventilation were not effective on this roof. 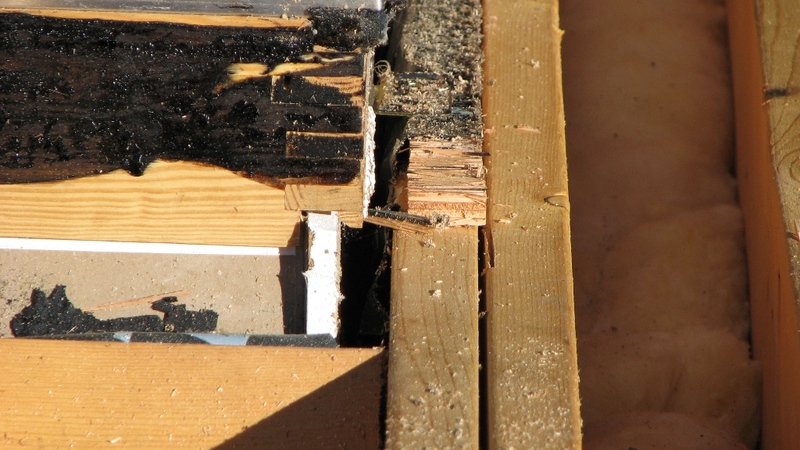 An older method of notching rafters to vent across framing bays may have helped, but continuous insulation above the roof sheathing would be more effective. 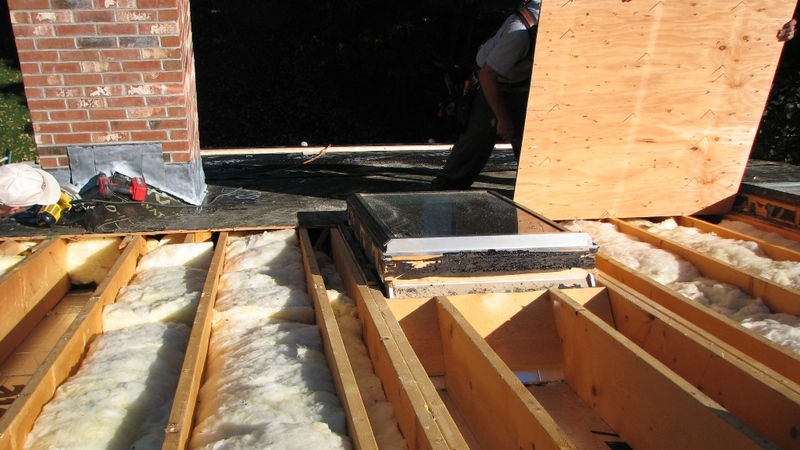 Where ventilation is desired (particularly under asphalt shingles), manufactured sheathed and vented insulation panels are available that include 2-way venting space above the continuous rigid insulation. 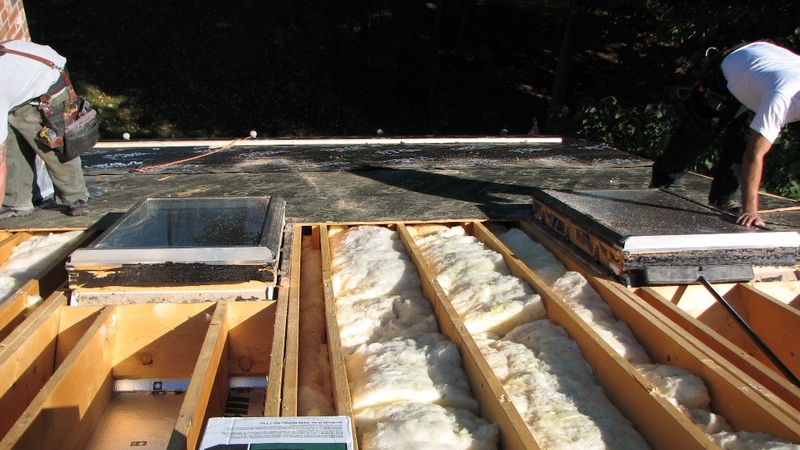 The continuous insulation is more effective in limiting heat loss from the interior, and the venting space also helps to keep the sheathing cool. Although the continuous insulation on top of the framing may not be the only effective way to insulate a roof over a cathedral ceiling, it is a proven system that eliminates the problems associated with venting in the rafter spaces. The photos below show 10-year old asphalt shingles that were applied directly to SIP roof panels with no ventilation space.